Daddy Cash spelt it out clearly. From the album’s liner, we learn Johnny was concerned Rosanne was too steeped in pop music. That clearly had to change. He gave her a list; a list of 100 tunes that would educate and inspire. The year was 1973. Now, nearly 40 years on, and with a greatly reduced offering of 12 tunes, The List is a serious treasure for those who love classic tunes. 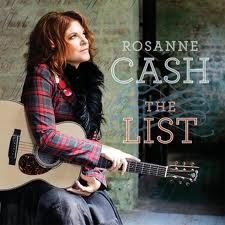 With a tight, but sparse, backing band, Rosanne takes the songs she received at 18, and, with husband/producer John Leventhal, turns in musical mastery. This "Album of The Year" at the 2010 Americana Music Honors and Awards is simply brilliant. Featuring duets with Bruce Springsteen, Elvis Costello, and Rufus Wainwright, the track listing is memorable country. Do yourself the favor – check out one of my pet albums. With tracks like “Sea of Heartbreak,” “Heartaches by the Number,” and the hauntingly superb “Long Black Veil," this is a travel friend you don’t leave at home. If this is not my all-time fav road companion, it runs a close second to I don’t know what. 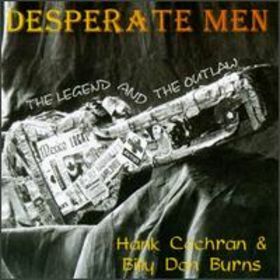 If you love your country music drizzled with outlaw themes, sung out by guys who’ve lived the lyrics, look and listen no further – Desperate Men is the album of choice for me. I need to throw a warning in here. The voice and music of Billy Don Burns is, as they say in the business, an acquired listen. The other proviso: this is a real, (and I mean REAL) hard album to track down, but if you do the enjoyment is just compensation for effort. When Burns pines about selling his soul for a bed, a bath and a meal on the title cut, sung with an ache that lived the times, the album grabs you tight and doesn’t let go. With not one limp track on the album, Burns and Cochran turn in an A-grade effort, one certain to be played on long trips, loud and often. They just don’t make ‘em like The Killer anymore. This bad boy of music, hismarriages and dislike of Elvis are well documented, is if nothing else a firebrand of energetic playing and performance. I mean, if you’ve never seen this Sun Records survivor in concert, you’ve missed an event, but no worry – close your eyes and just listen. 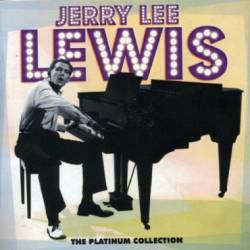 Ol’Jerry Lee pounds, cranks, bumps, punches and throttles the keys of his well kicked piano, doing it while stretching his vocal range with a born for country edge. Jerry feels the music with a passion and a conviction that jumps right at you. When the album pounds to life with “Folsom Prison Blues," it’s time to check your accelerator speed, as your foot will be moving dangerously up and down. Sure it’s dated. Sadly, we don’t hear JLL much on the radio these days, but if you’re old enough to remember, then you need this travel buddy in the player. Chris Wall rightly holds his own as a Texas troubadour. Having written many notable and popular tunes (“Trashy Women” recorded by Confederate Railroad and the iconic “I Feel Like Hank Williams Tonight” recorded by Jerry Jeff Walker), Wall wears the “real deal” label with authority. This album comes made for the top down, the open road stretching ahead and your added karaoke vocals. With not a dud in the playing pack, tunes like “Hangin’ Out," “No Sweat,"“Faded Blue” and “Better Things To Do” flood the senses with Saturday night memories and honky tonkin’ fun. It’s a sure bet: once you hear this Grammy nominated cowboy, you’ll be chasing his catalogue. He is the prefect road companion. Here at Nuts, we like to hear from you. Just what are your favorite albums? It doesn’t matter if it’s dated or modern; what are the albums you can’t leave home without? Drop us a line, let us know, and we’ll share them on these pages.